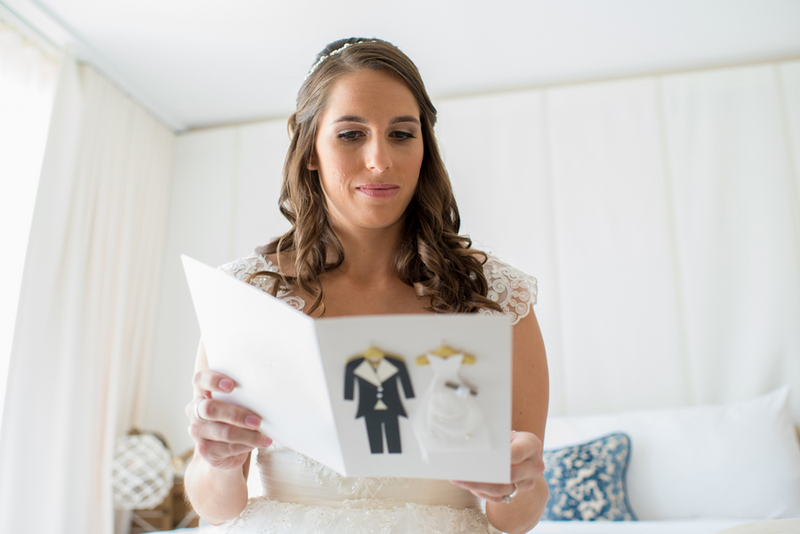 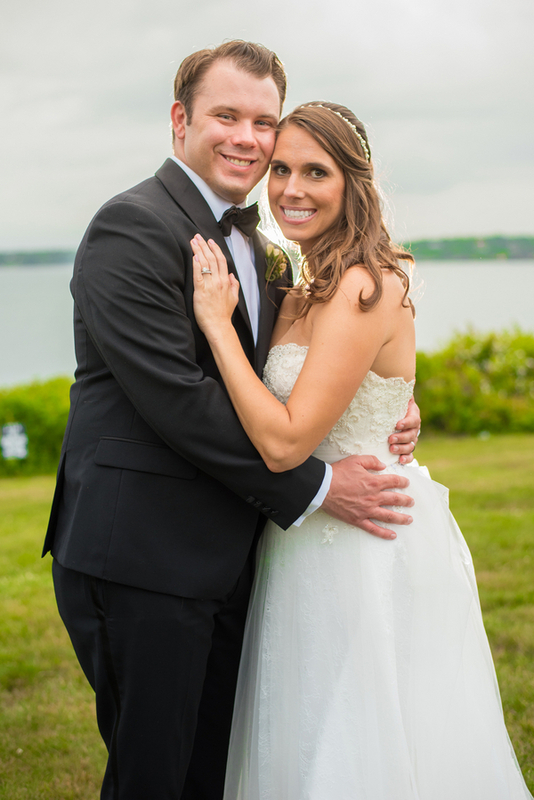 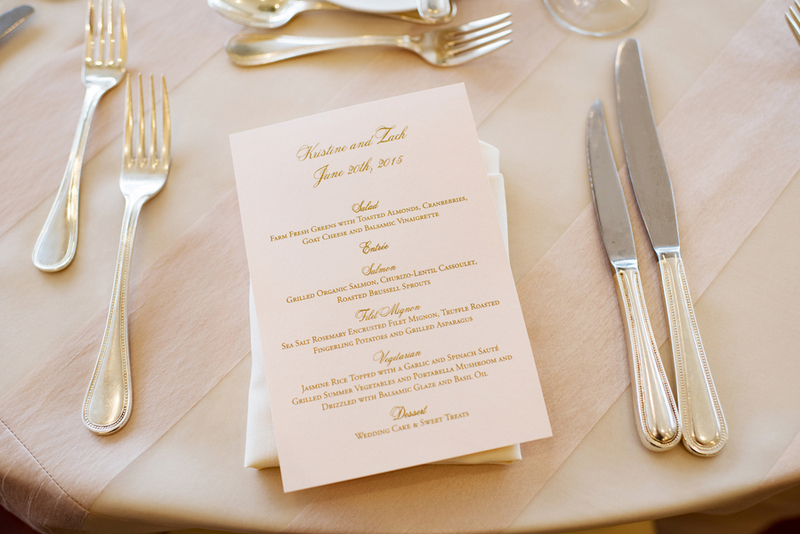 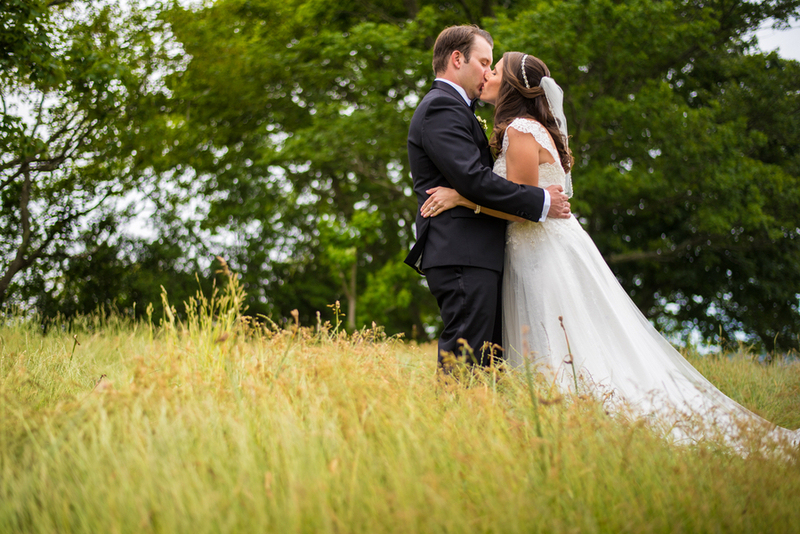 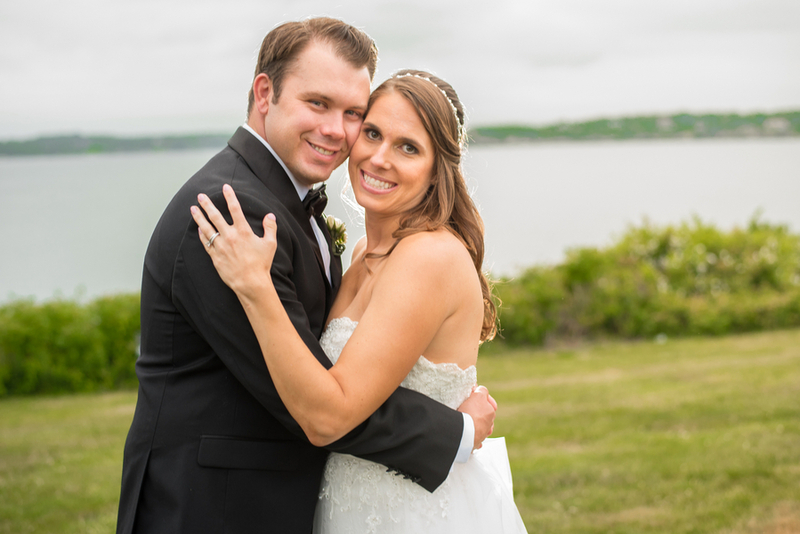 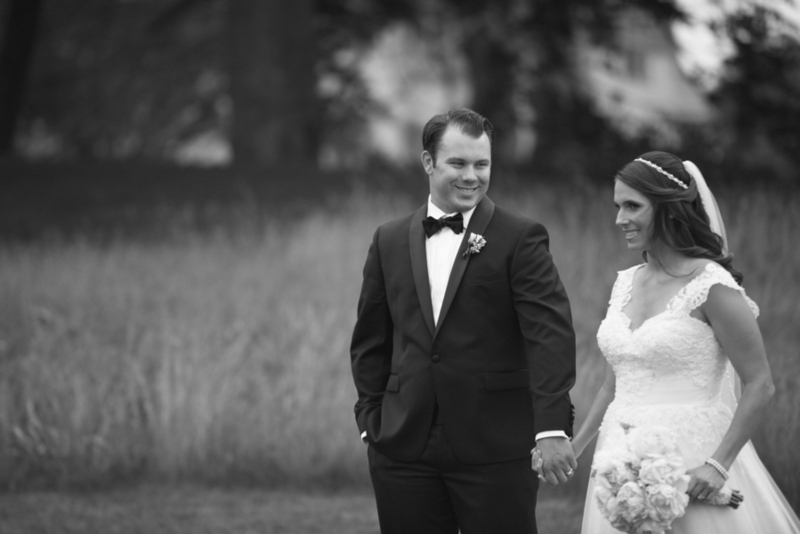 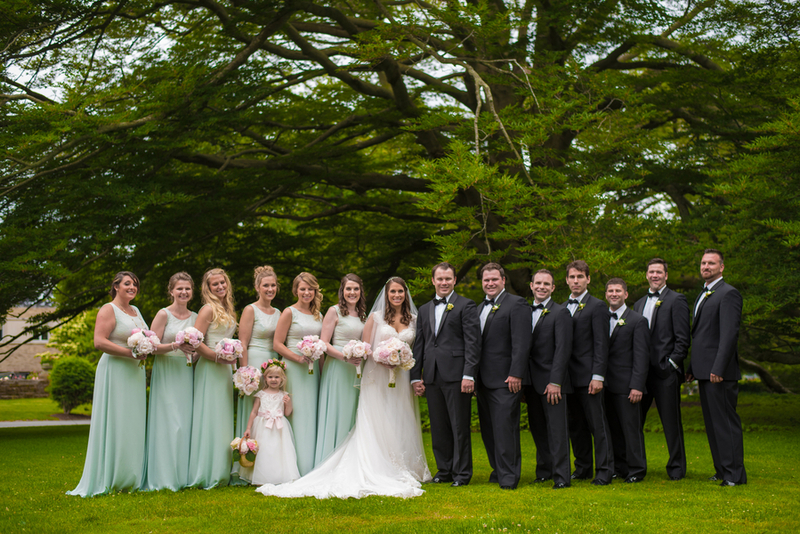 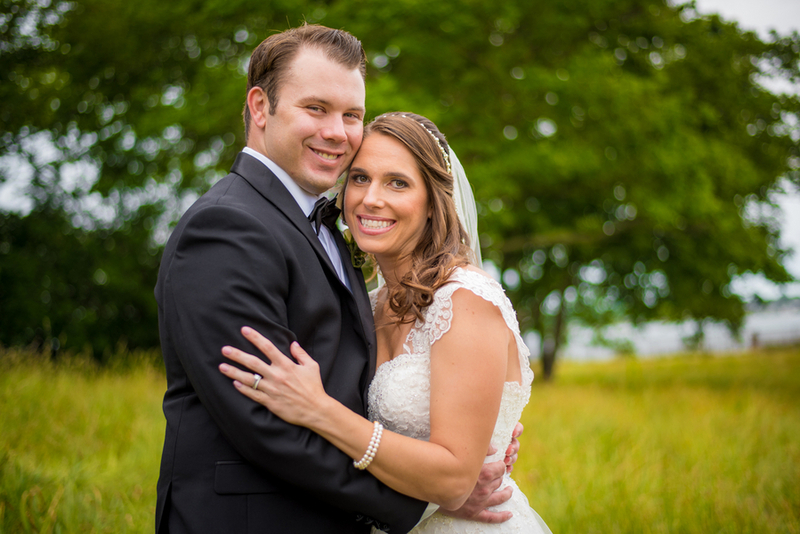 We love a gorgeous seaside wedding, and that’s exactly what Kristine and Zach’s affair was! 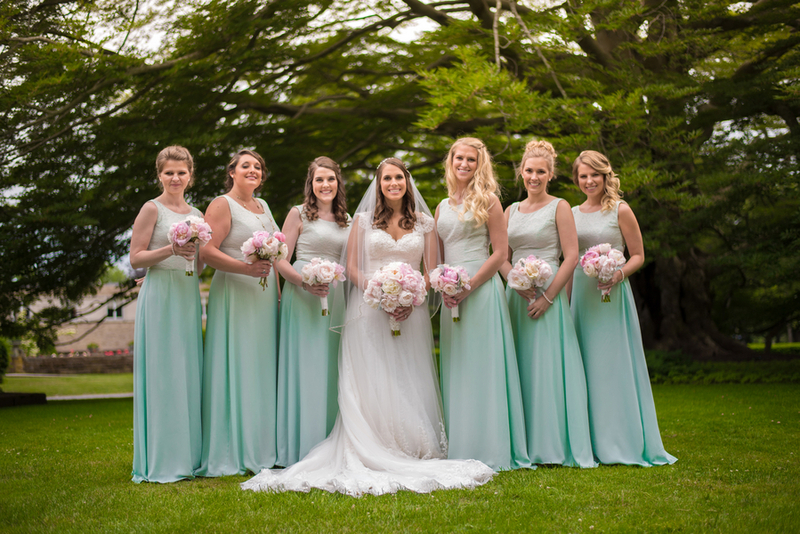 The incredible day was captured by Michael David Photography who used the incredible Ocean Cliff Hotel as a stunning backdrop for some truly breathtaking images. 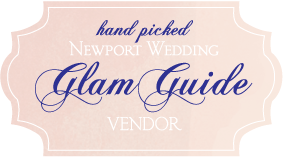 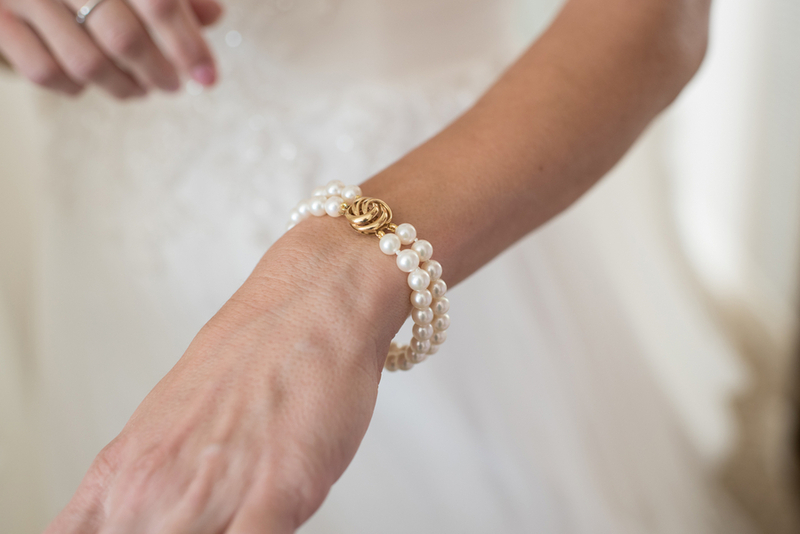 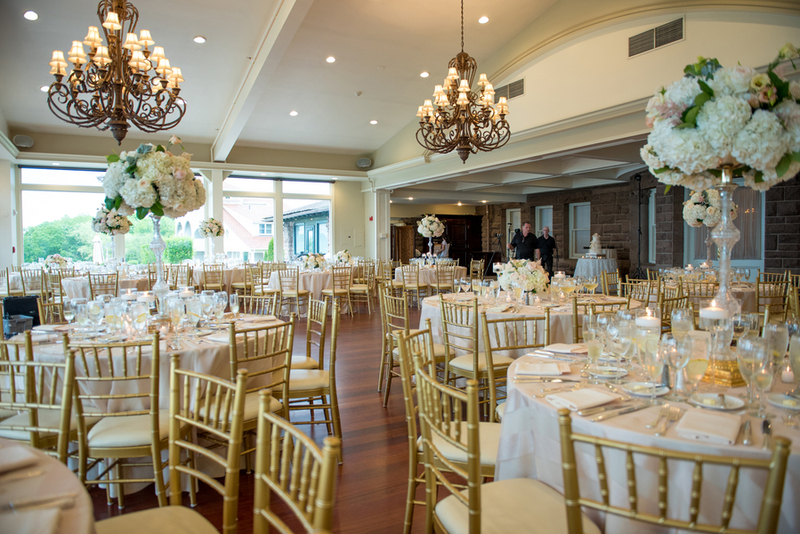 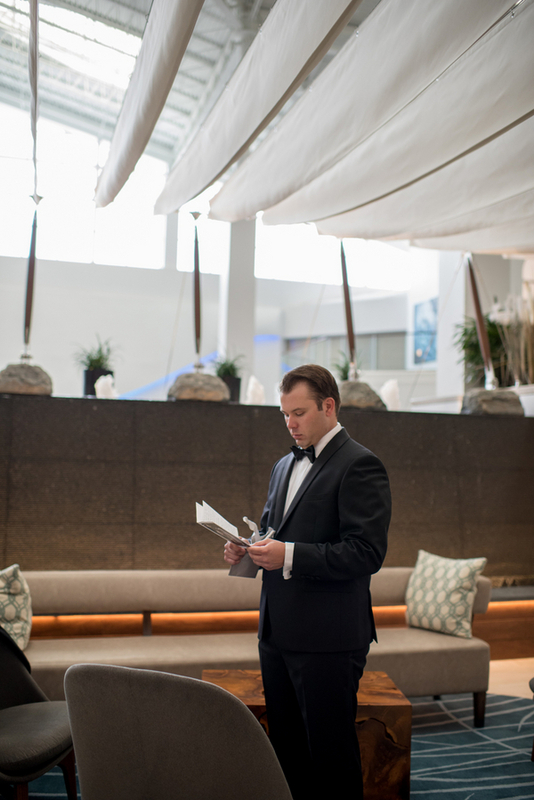 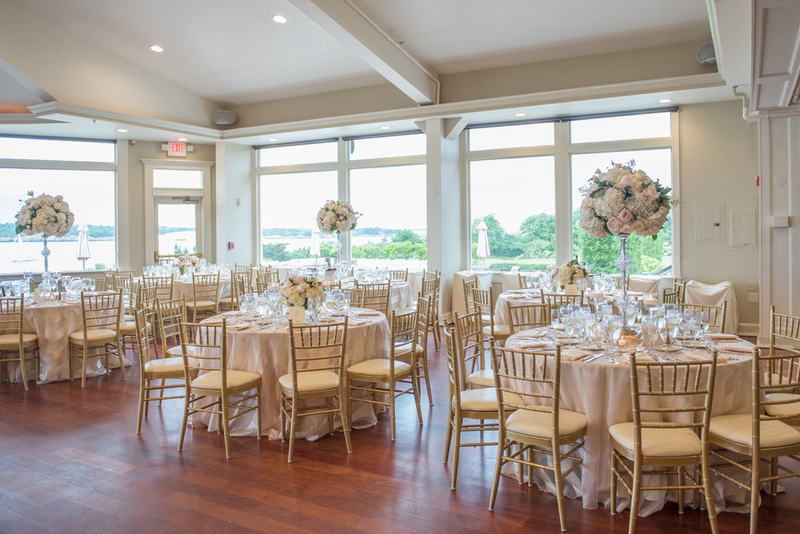 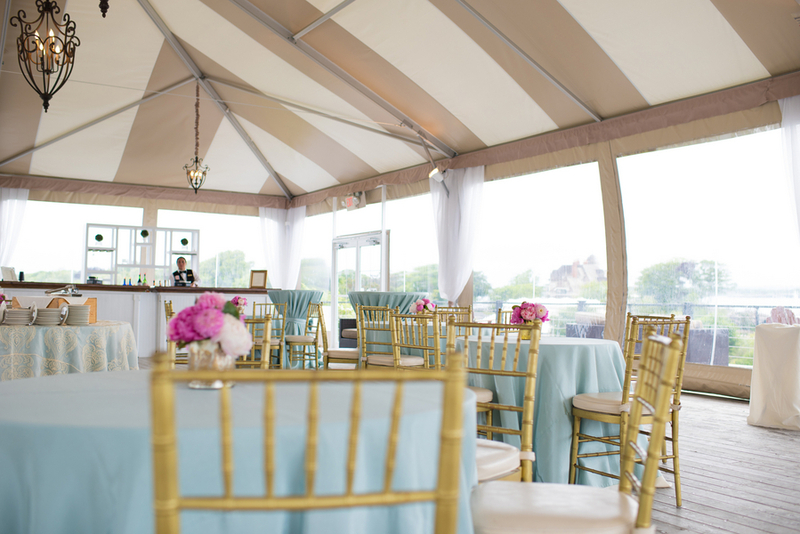 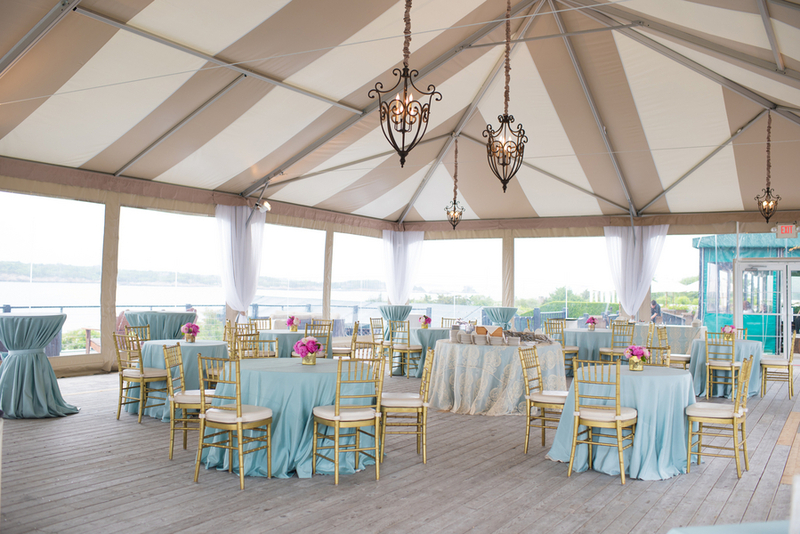 We love the traditional tone of this wedding mixed with a light nautical theme, and we can’t wait to share it with you! 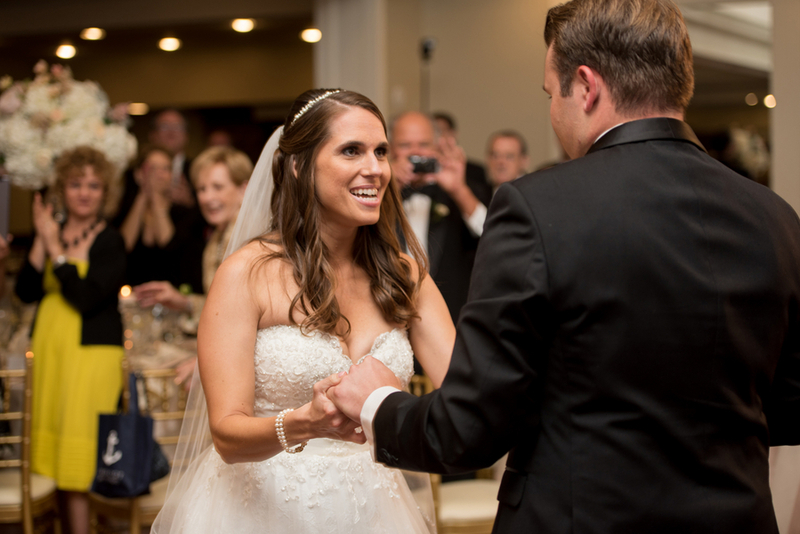 One of our favorite things about Kristine and Zach’s wedding was watching the pair celebrate and get ready for their big day. 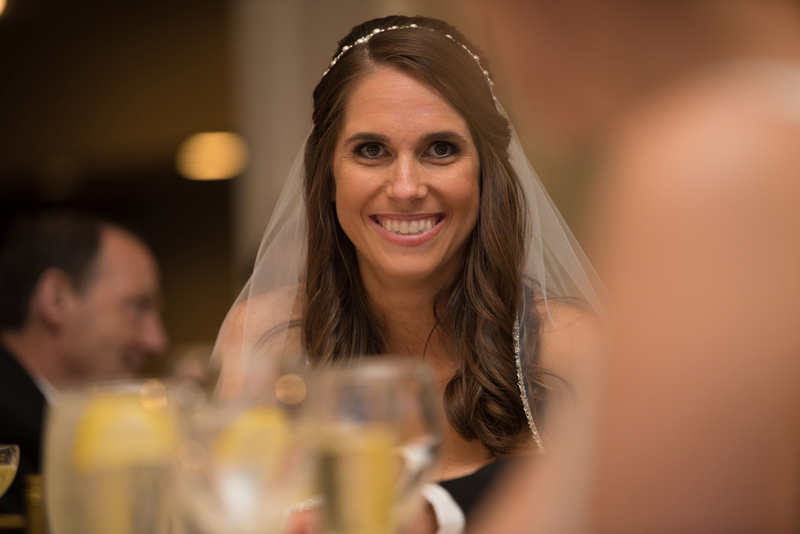 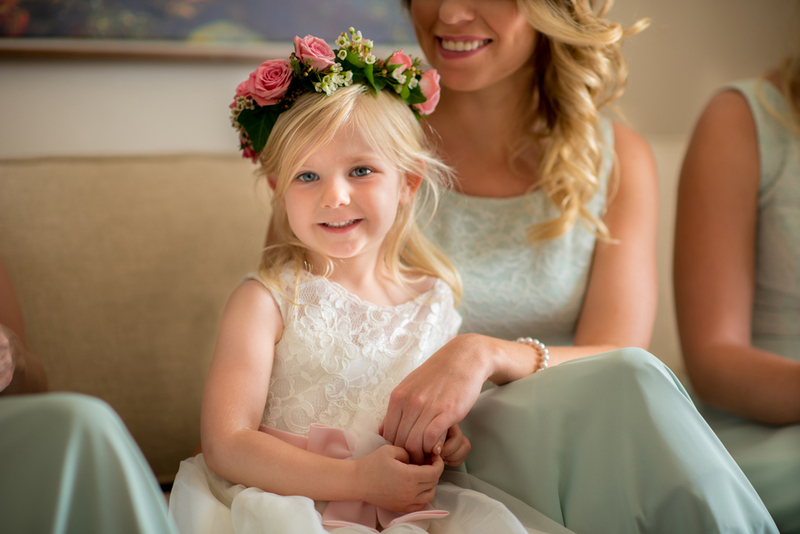 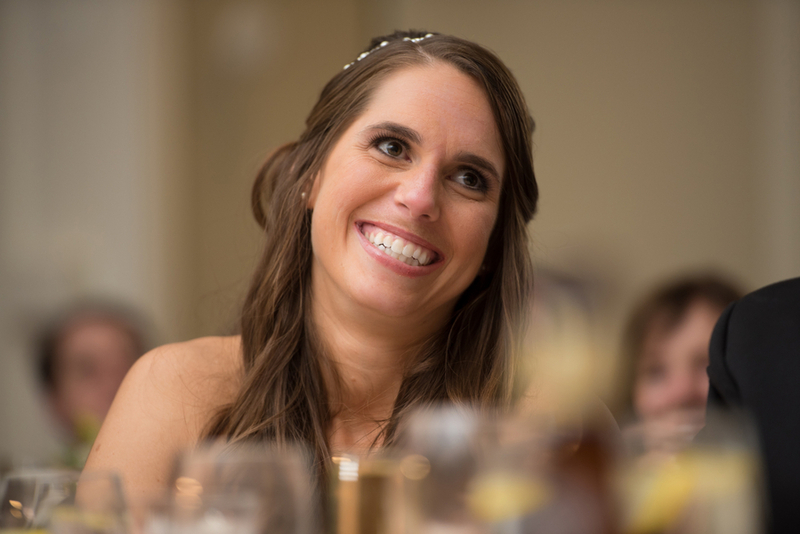 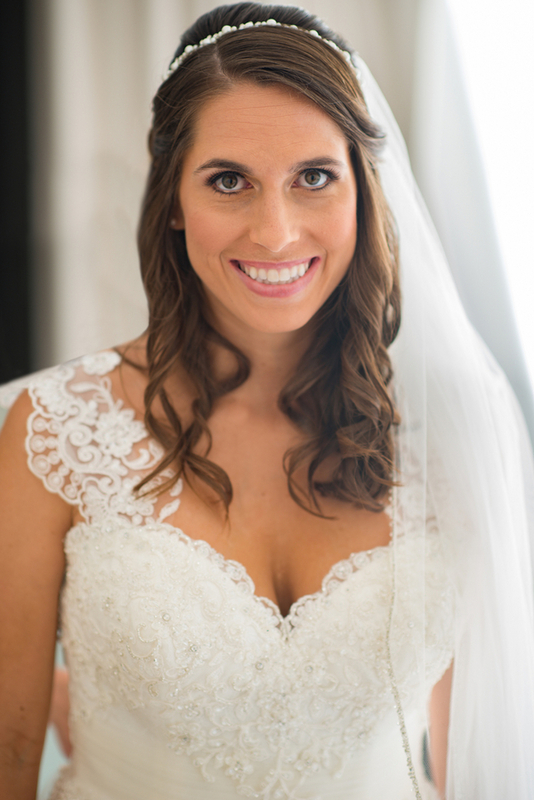 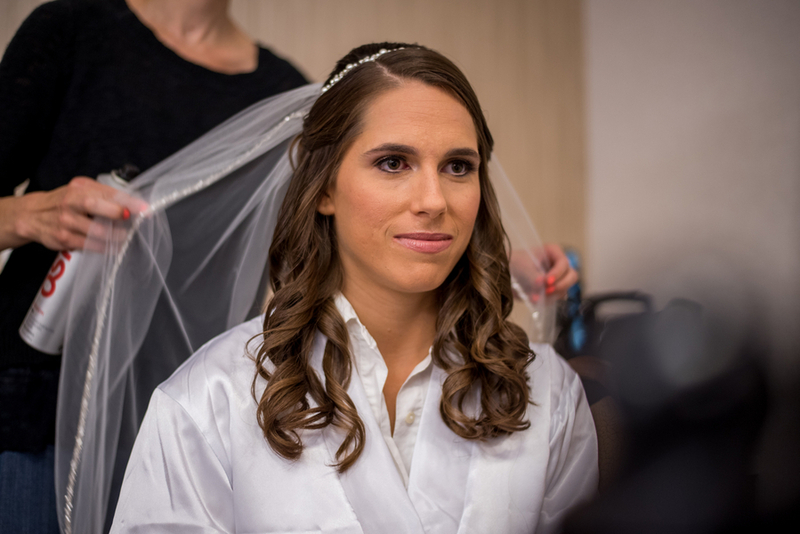 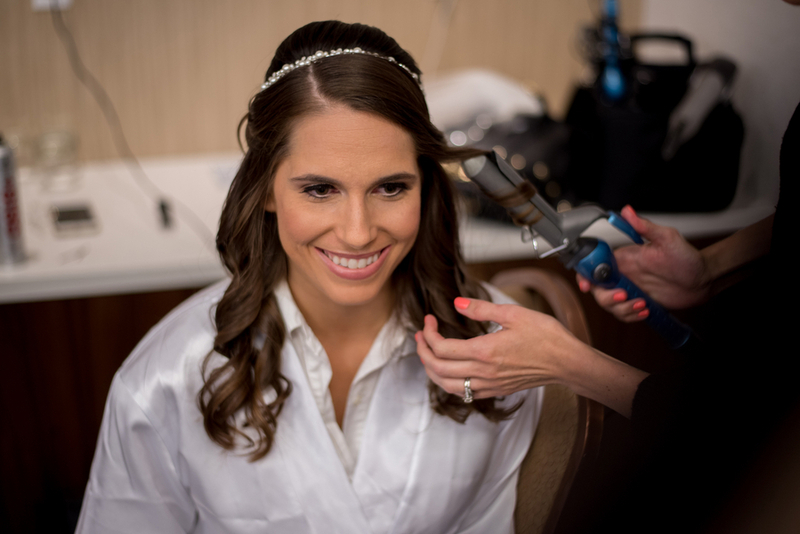 Kristine was practically radiating happiness as she got her hair and makeup expertly done by Flawless Image Makeup. 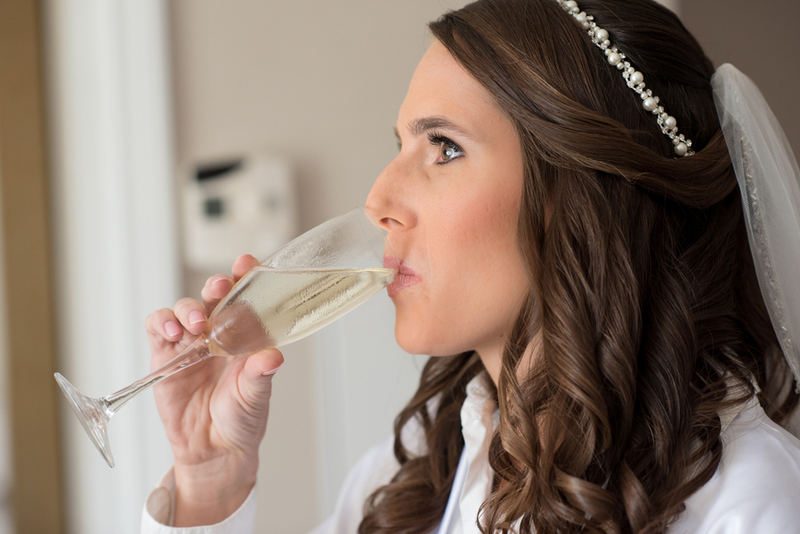 The bride looked gorgeous as she slipped into her cap sleeved Private Label by G gown from Lillian Lottie Couture and took a celebratory drink of champagne. 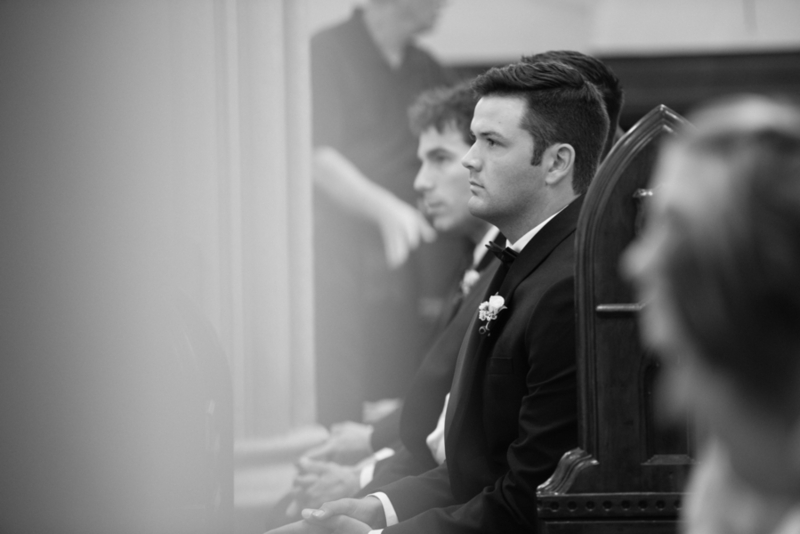 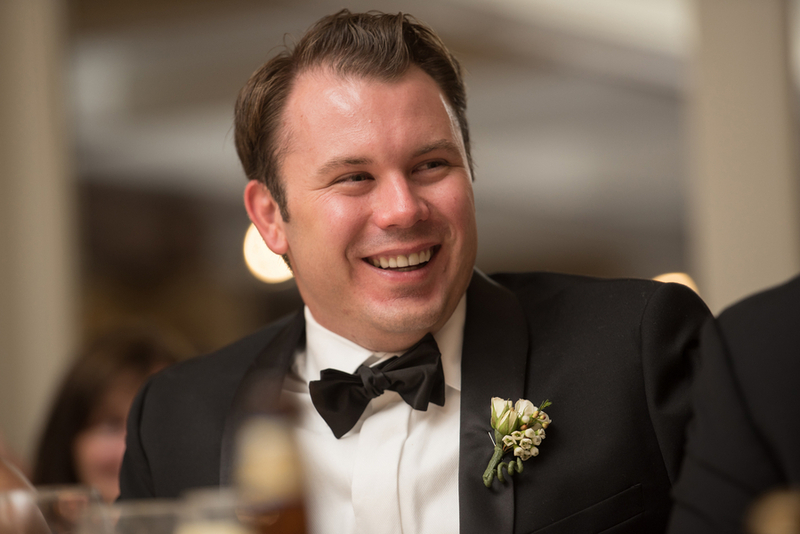 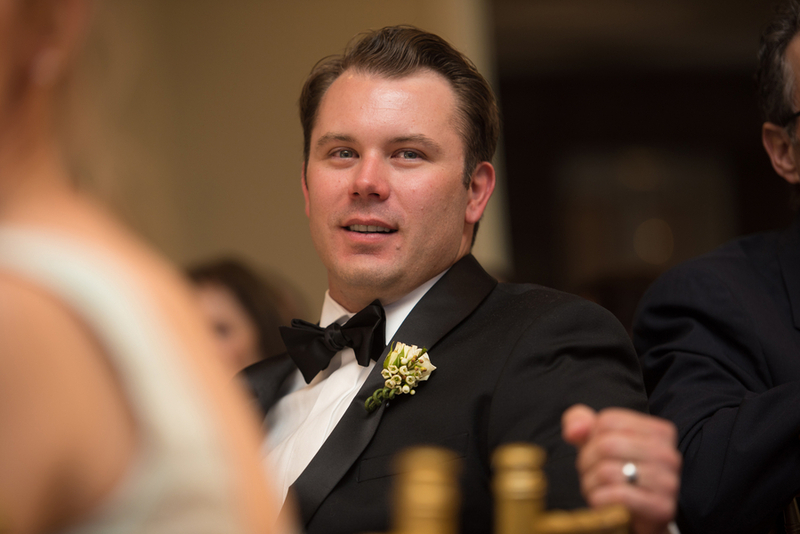 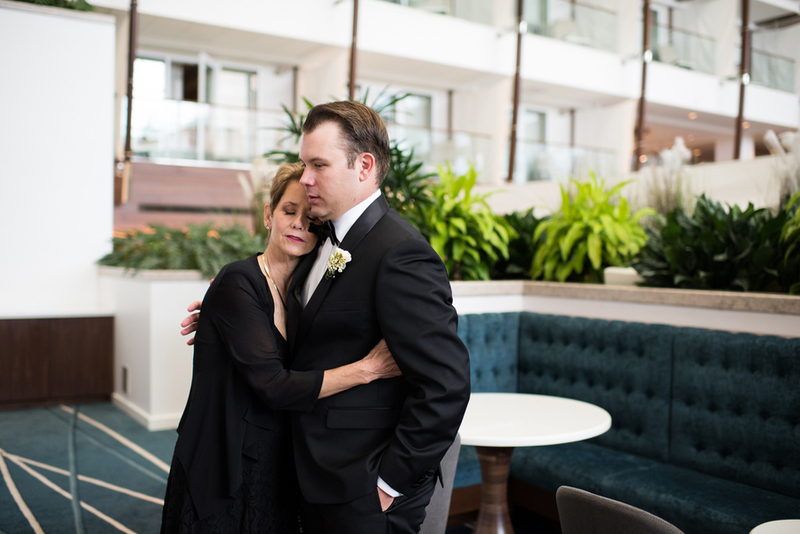 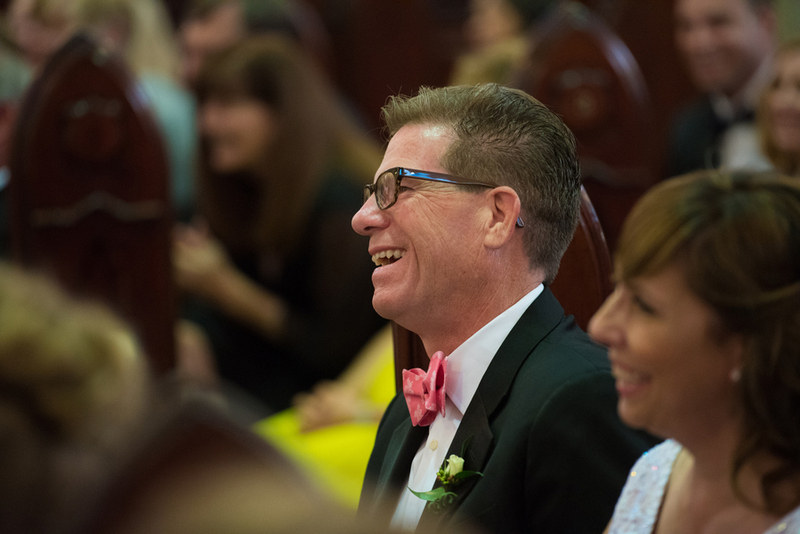 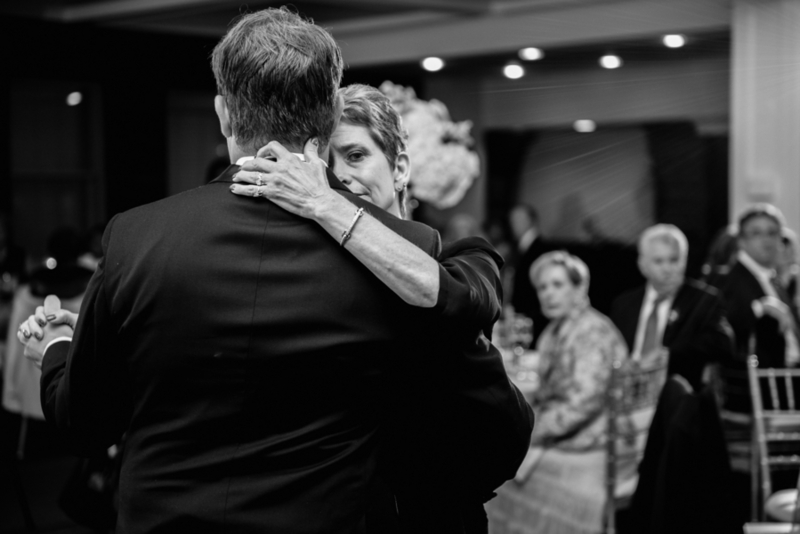 We also love the sweet images of Zach— look dapper in his Calvin Klein suit— hugging his mother as he lovingly waited for the gorgeous bride to make her way to the church. 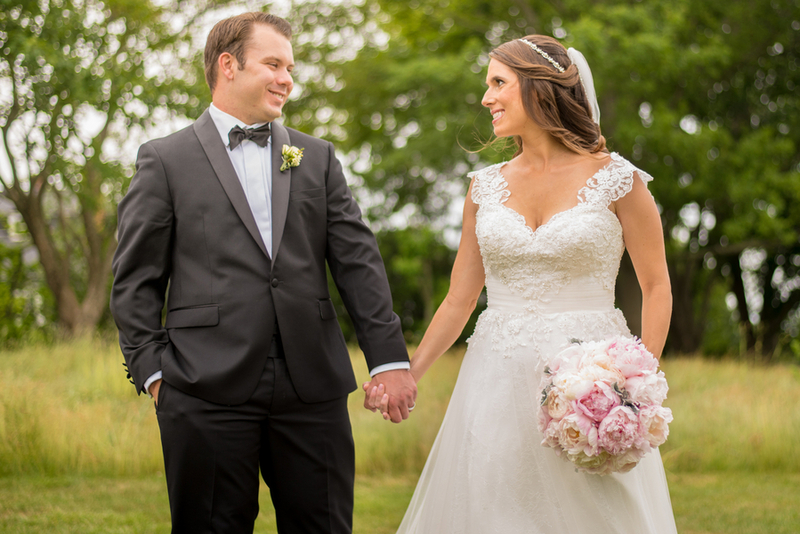 The photos from the couple’s ceremony truly illustrate the beauty of the couple, their family, and friends’s love for one another. 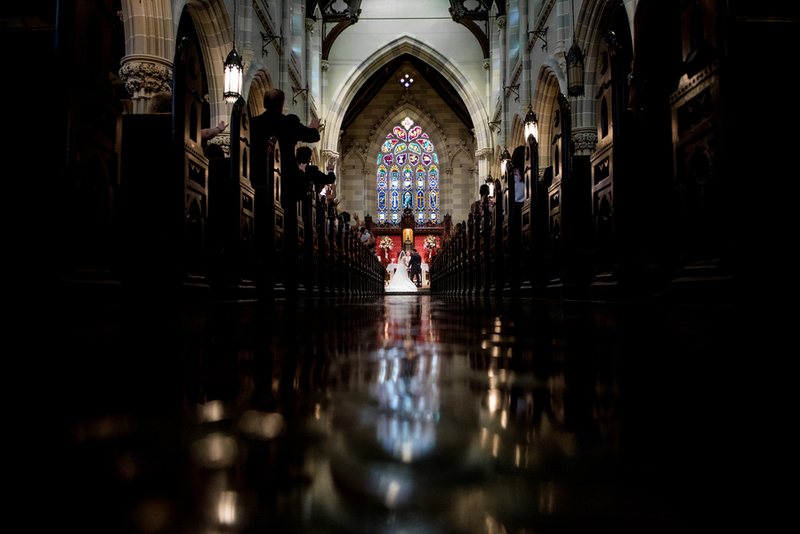 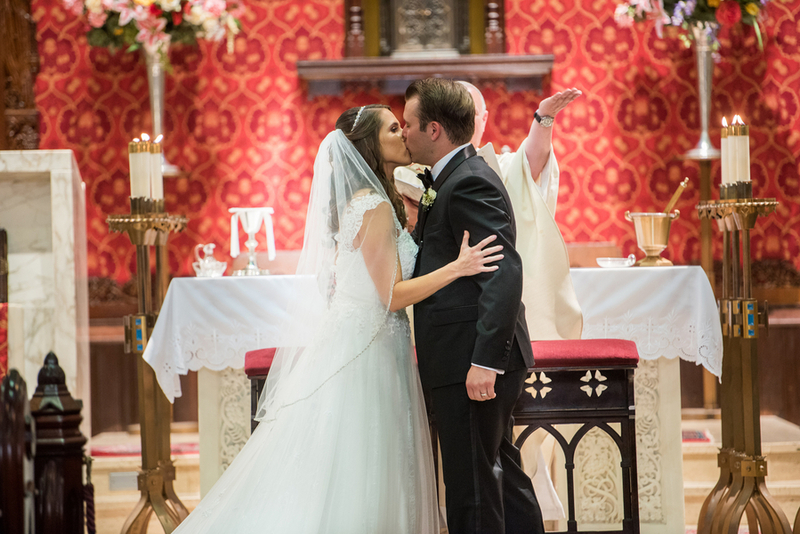 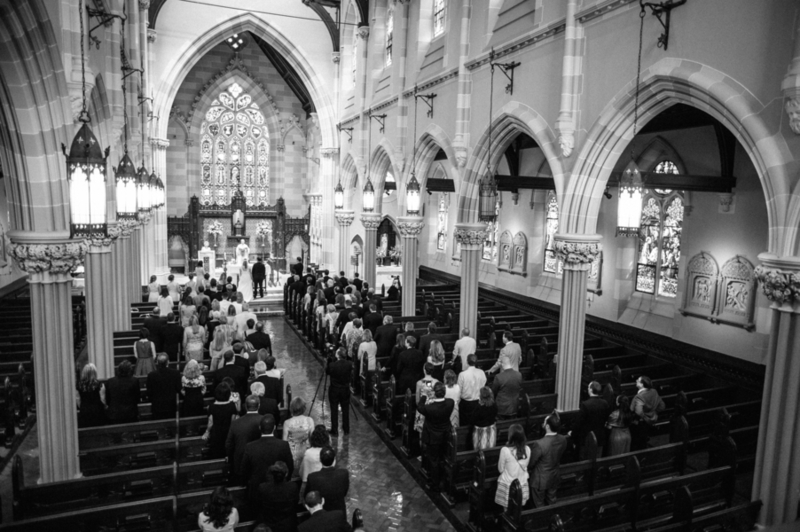 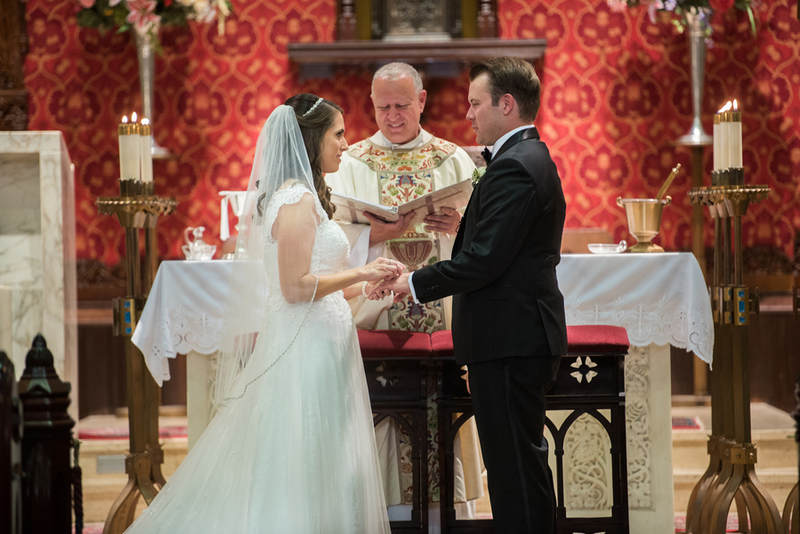 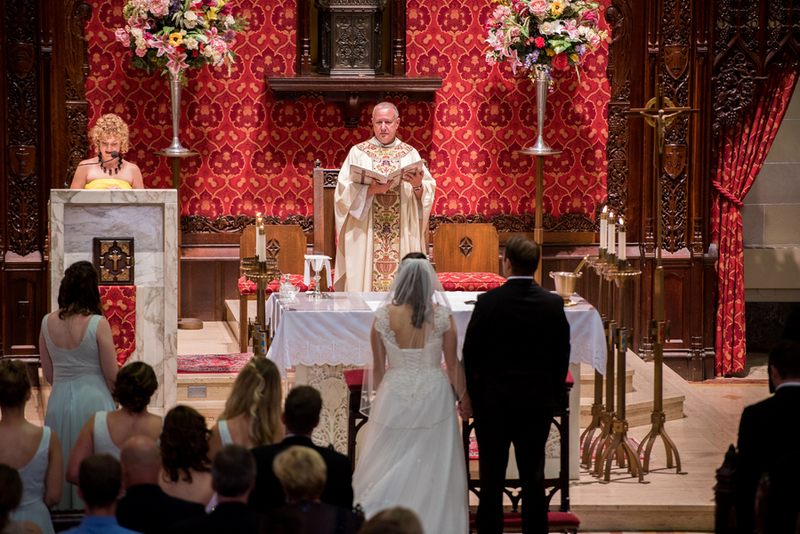 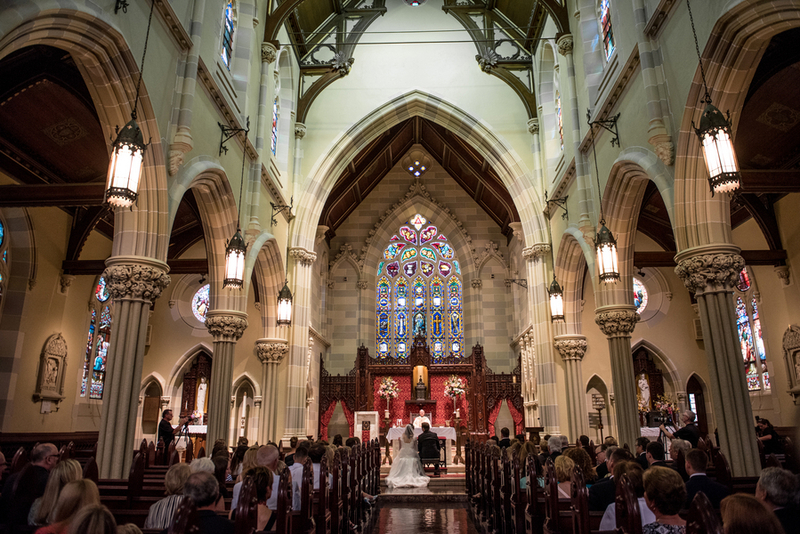 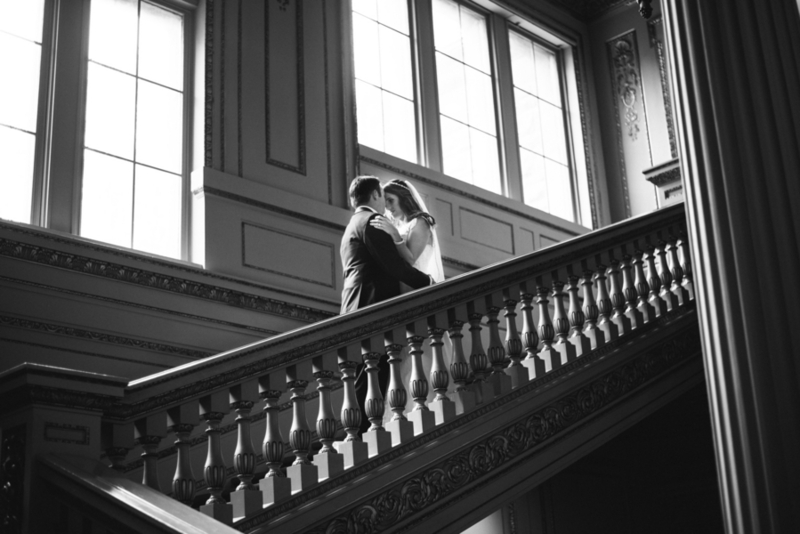 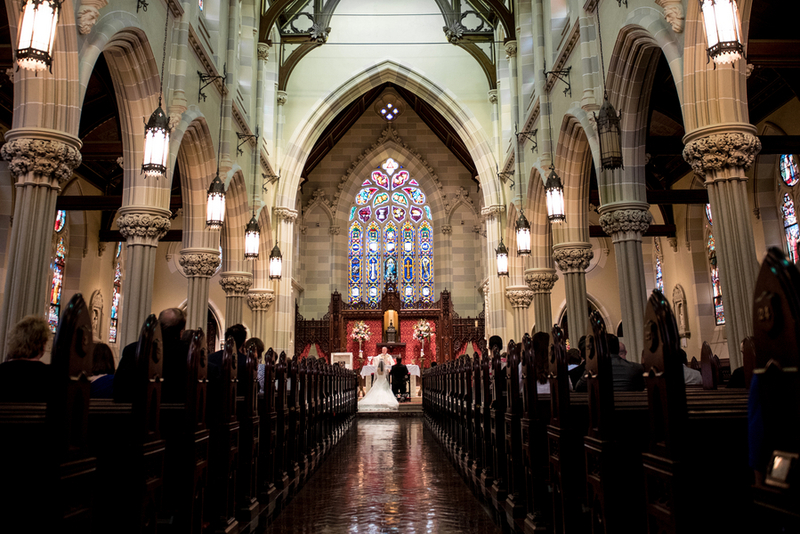 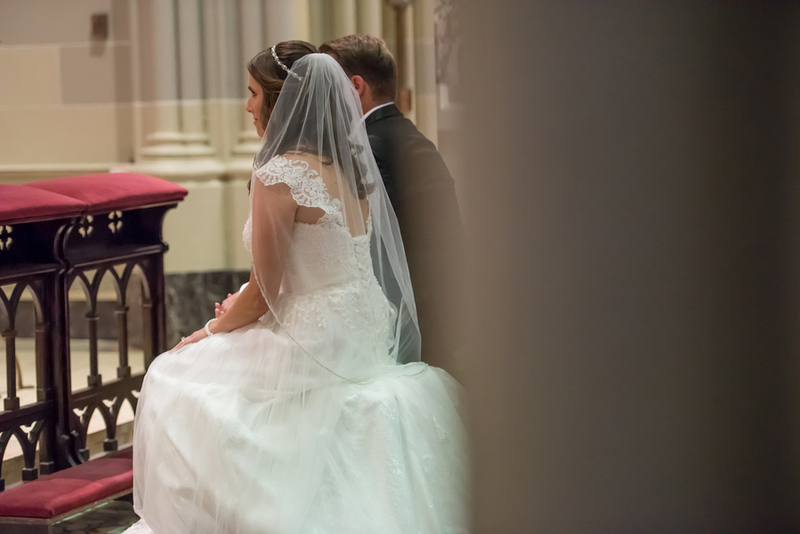 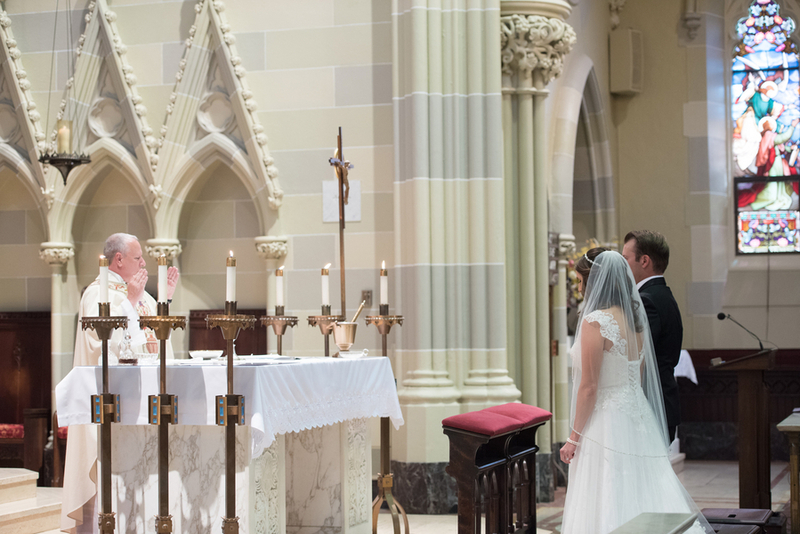 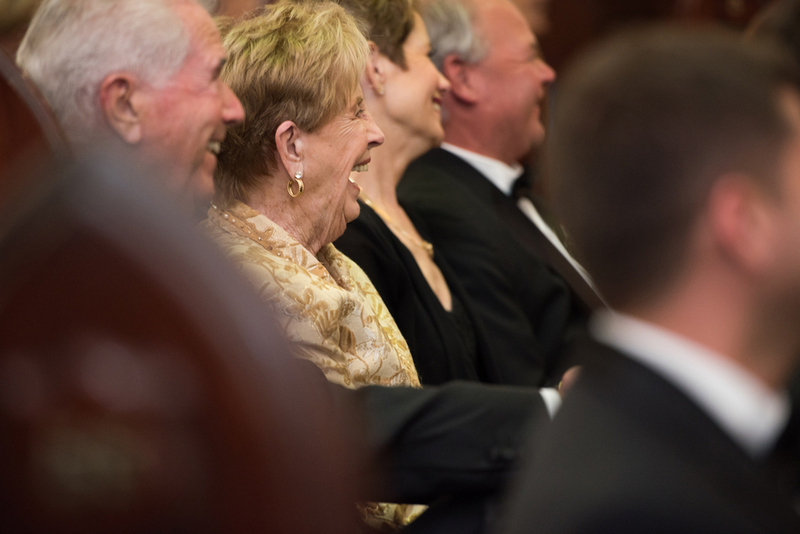 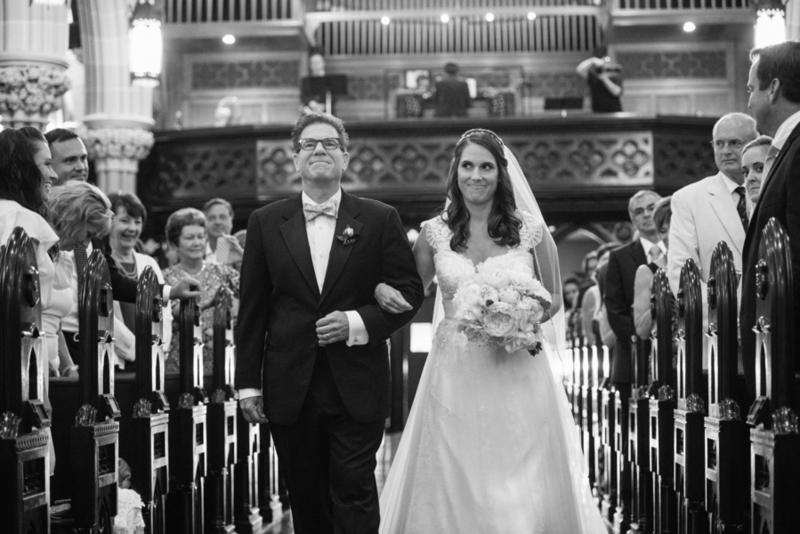 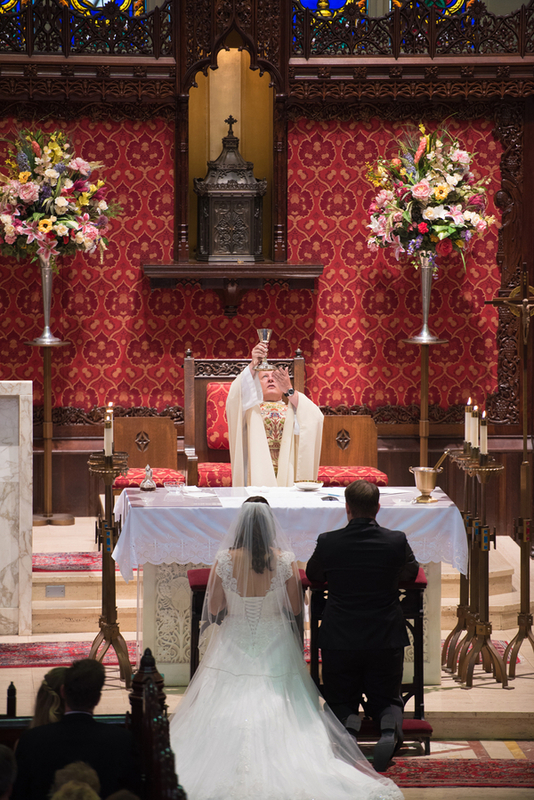 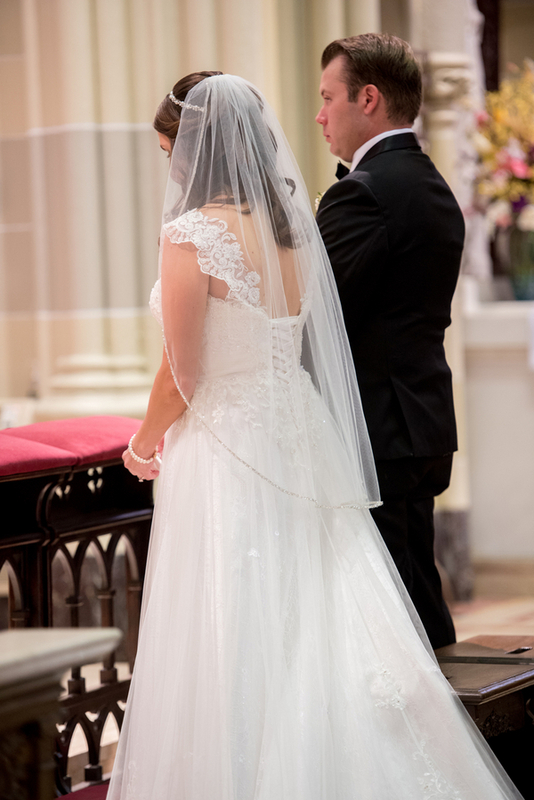 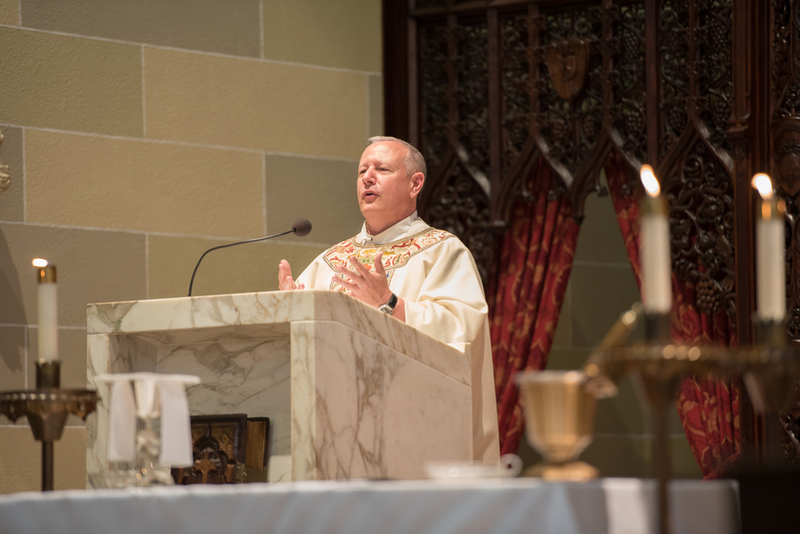 The incredibly grand church added drama to the otherwise simple and elegant affair. 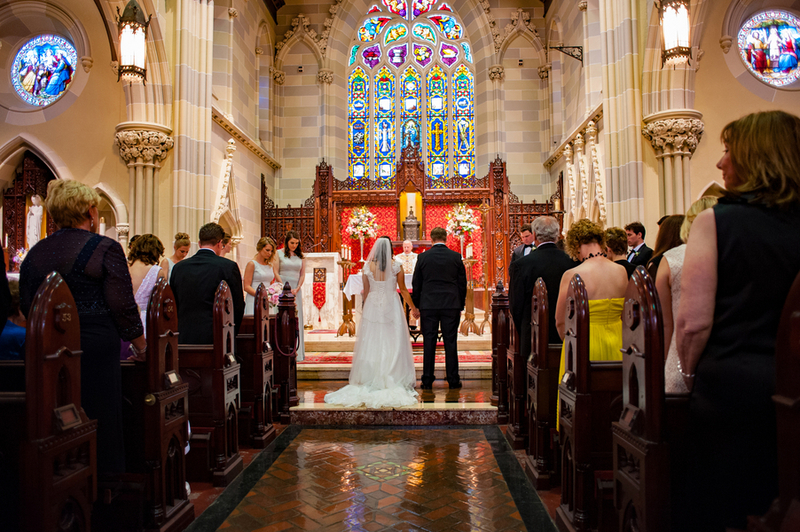 Despite the grandeur of the ceremony location though, all attention was on the bride and groom as they exchanged vows. 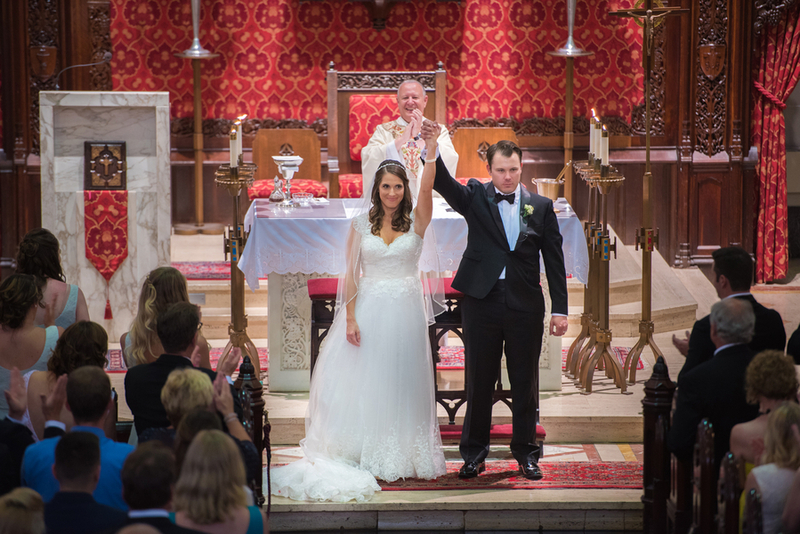 The pair triumphantly left the church, arms raised in celebration and headed outside to capture some gorgeous photos. 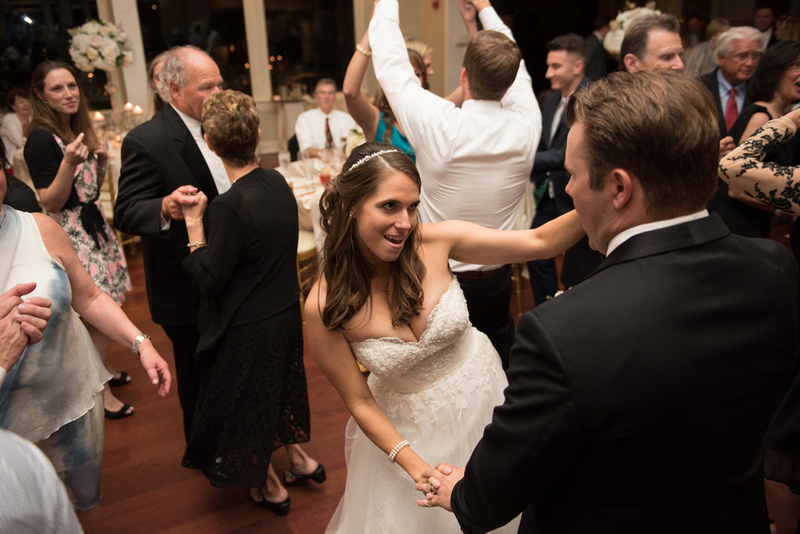 The pair and their wedding party then made their was to the reception venue thanks to Rockstar Limo where they prepared to dance the night away. 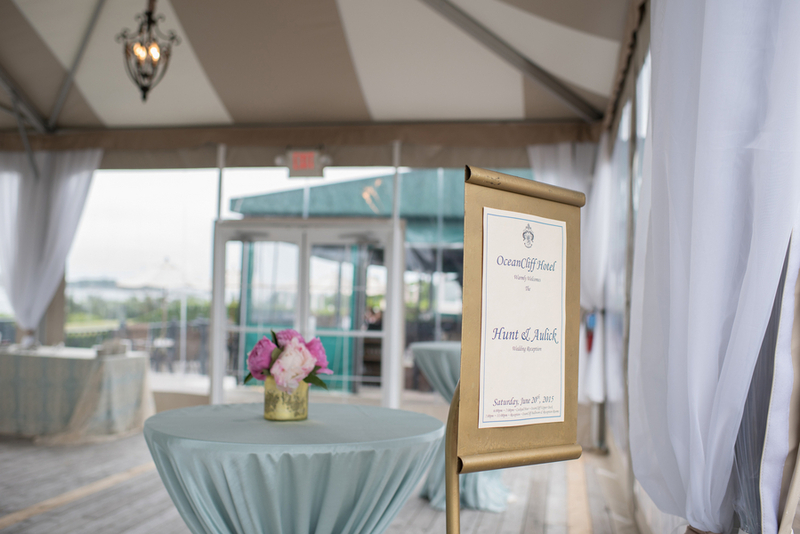 They arrived at the Ocean Cliff Hotel where designers PDR Events had arranged everything for their special celebration to be perfect. 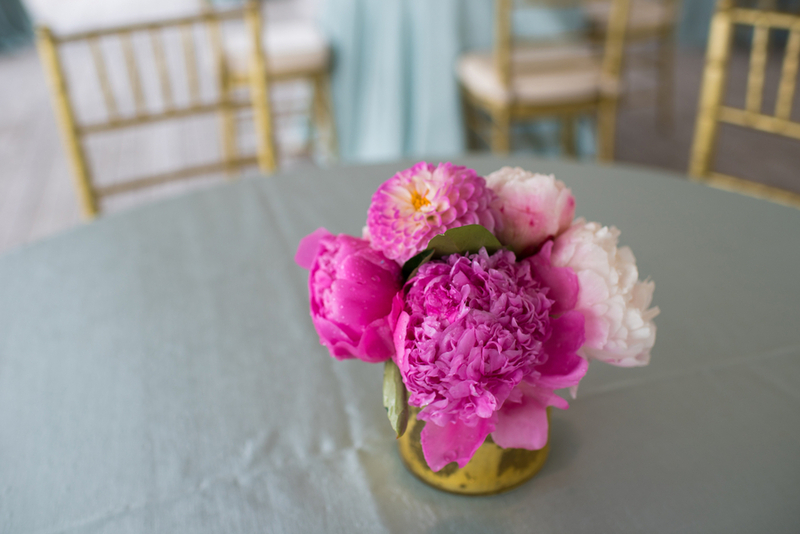 Sayles Livingston Design provided spectacular floral arrangements for the reception. 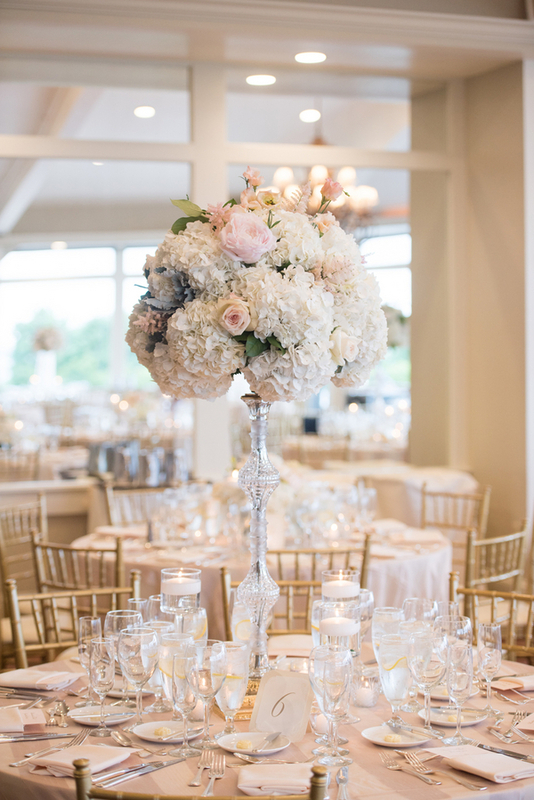 We love the stunning hydrangeas that featured in the centerpieces. 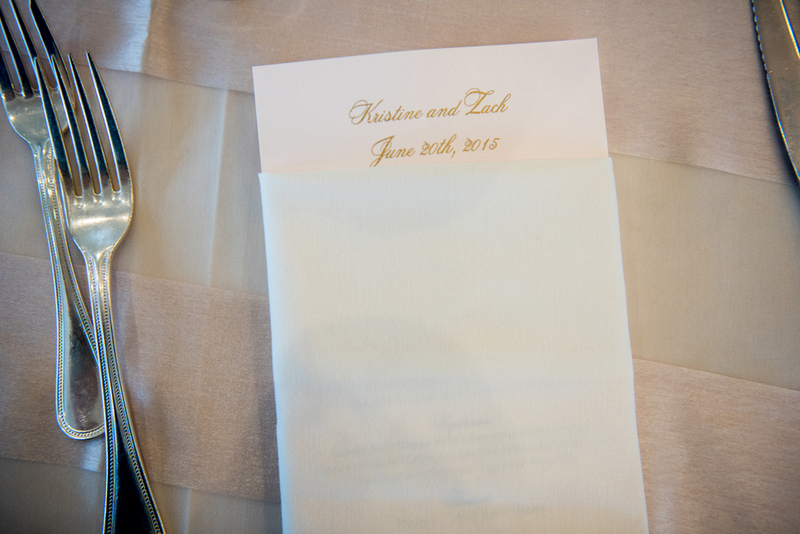 The gorgeous cake by Scrumptions, Inc had us practically drooling. 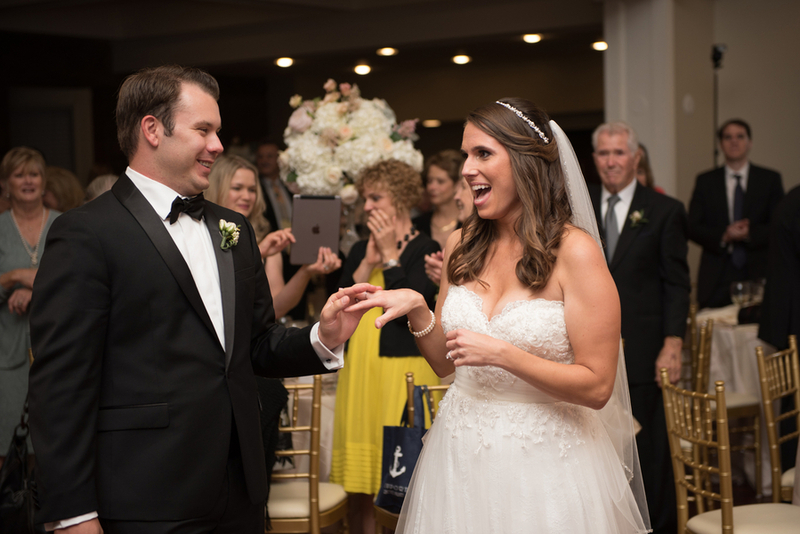 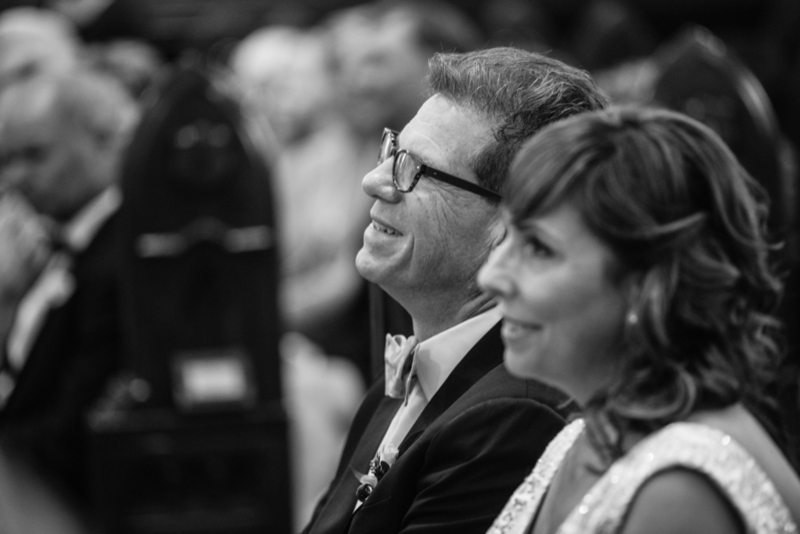 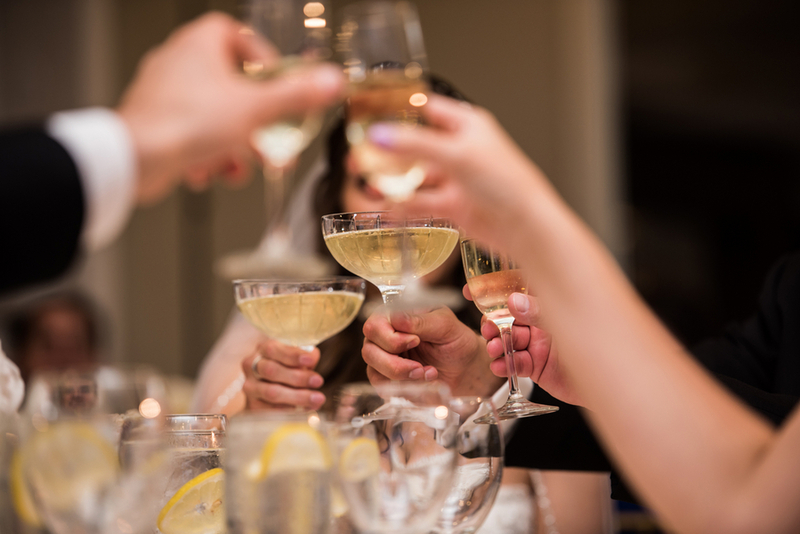 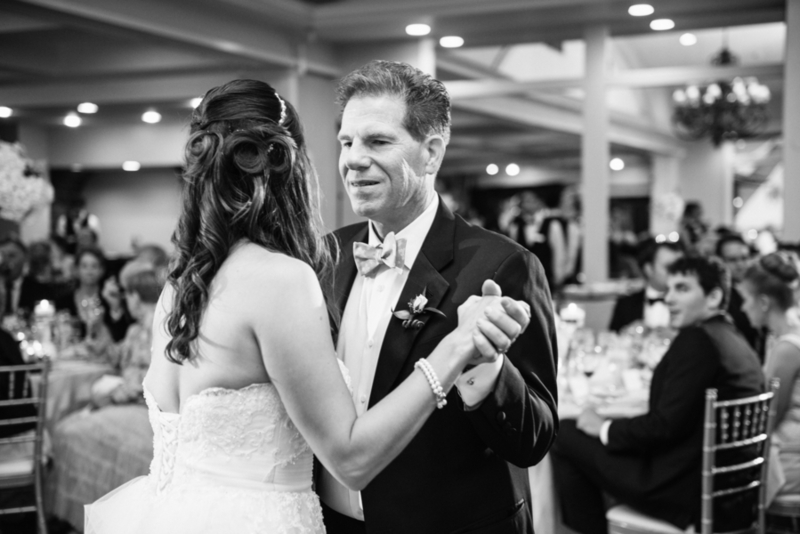 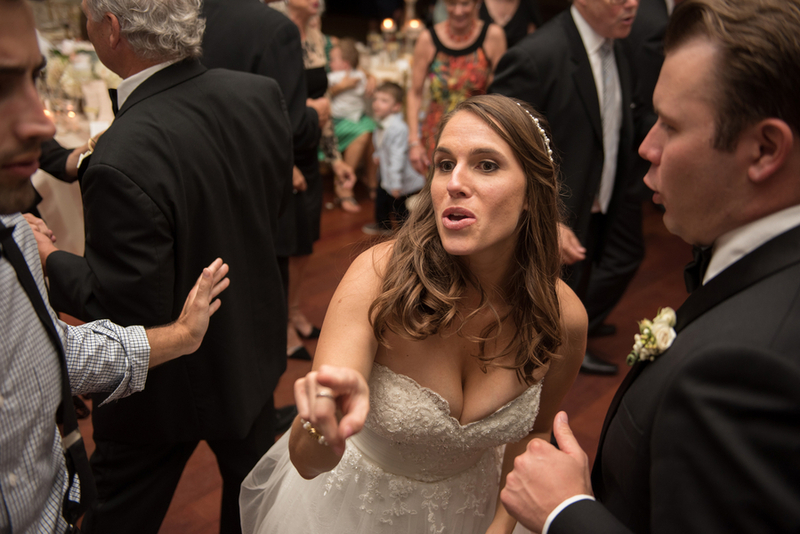 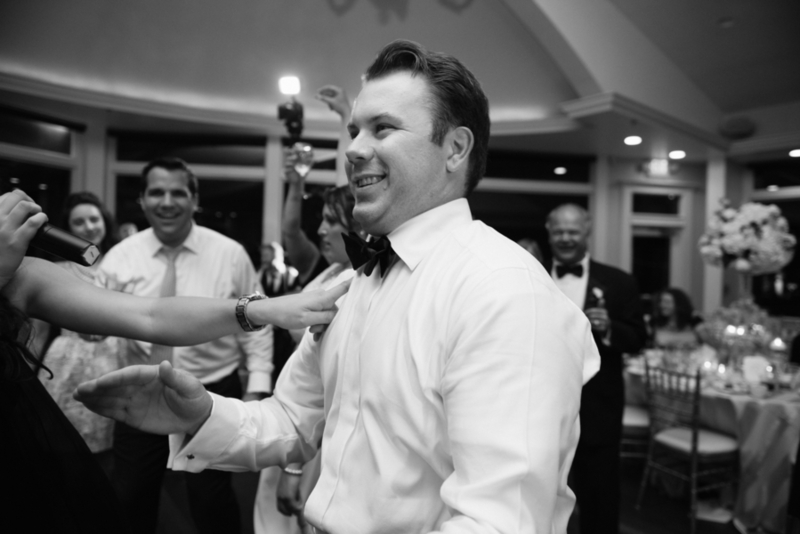 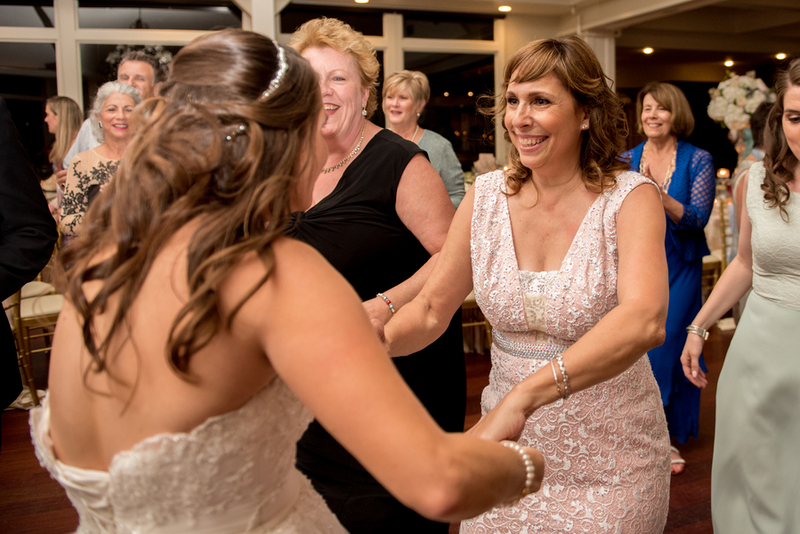 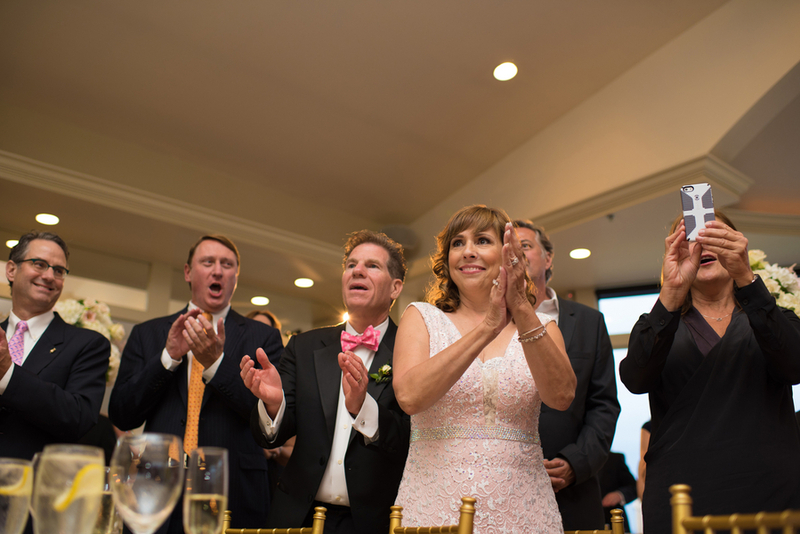 After enjoying food and laughter, the pair and their guests danced the night away thanks to Wilson Stevens Freestlye, and thankfully, all of the fun was captured on film by Summerwind Wedding Films. 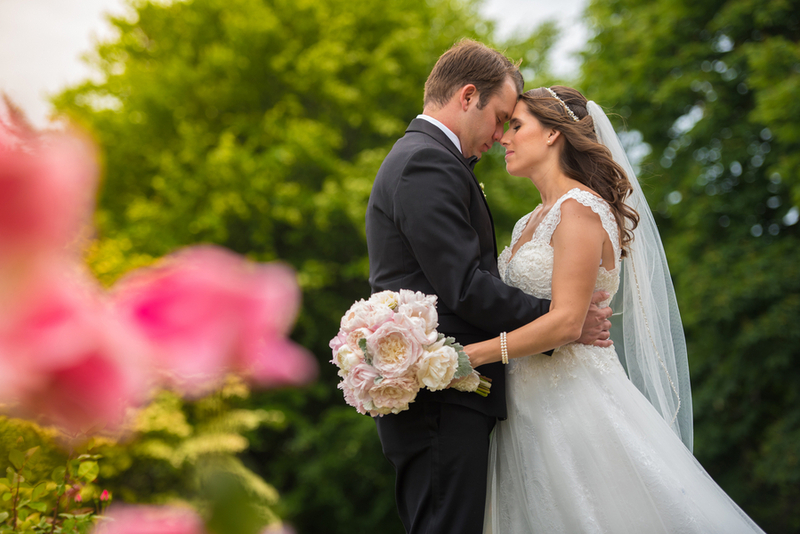 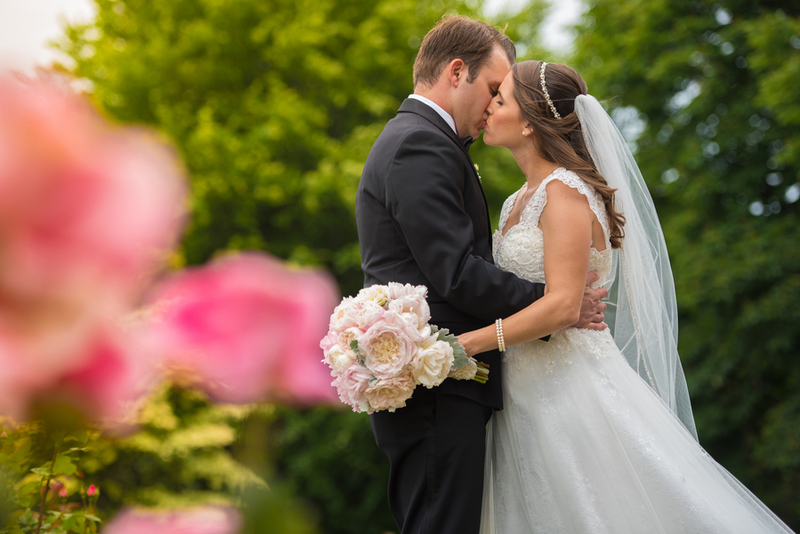 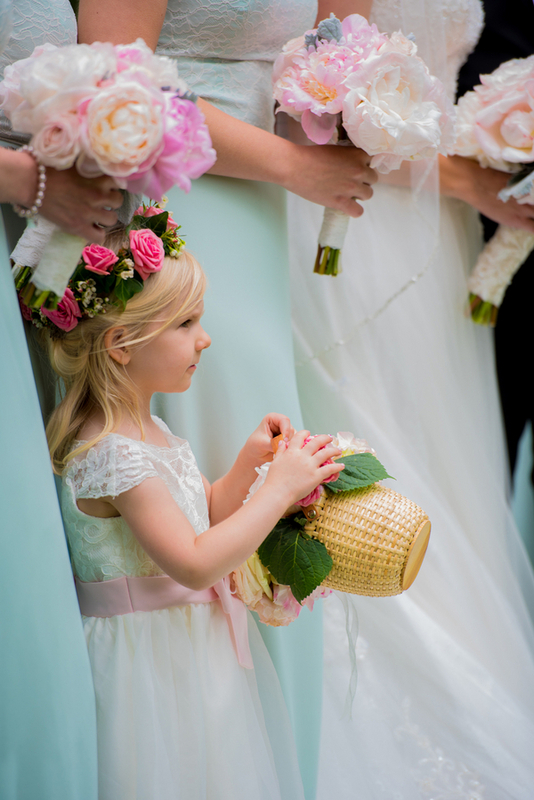 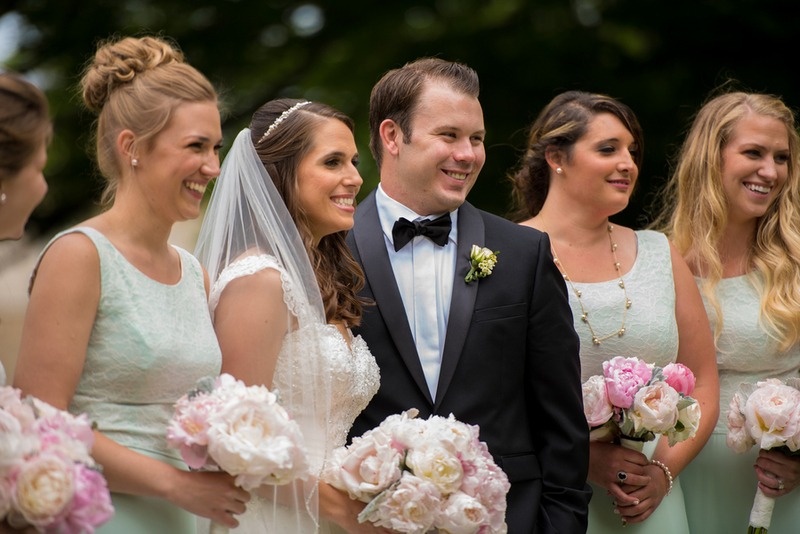 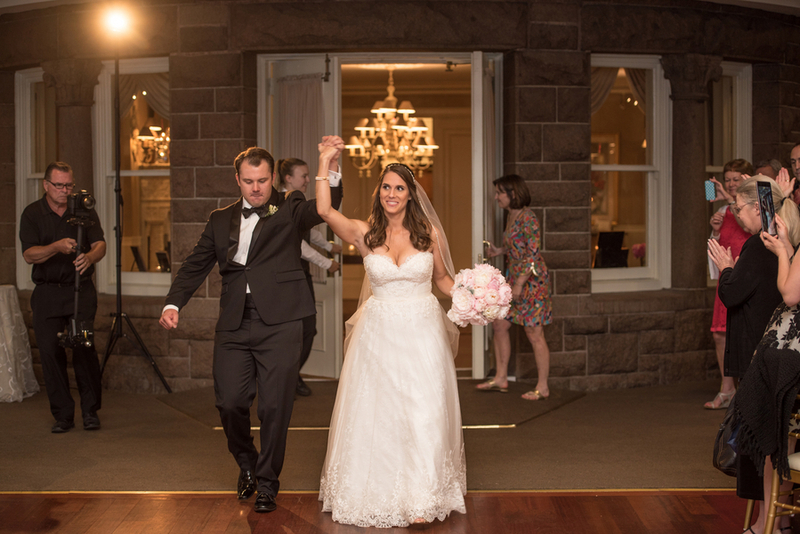 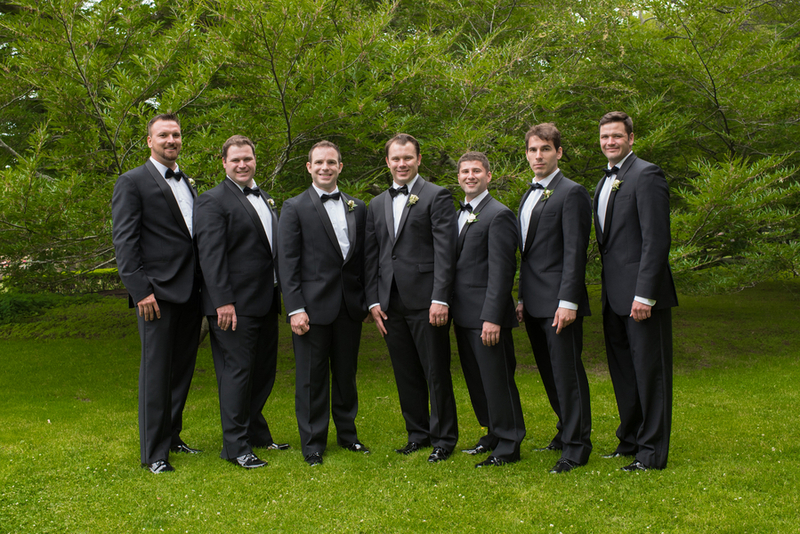 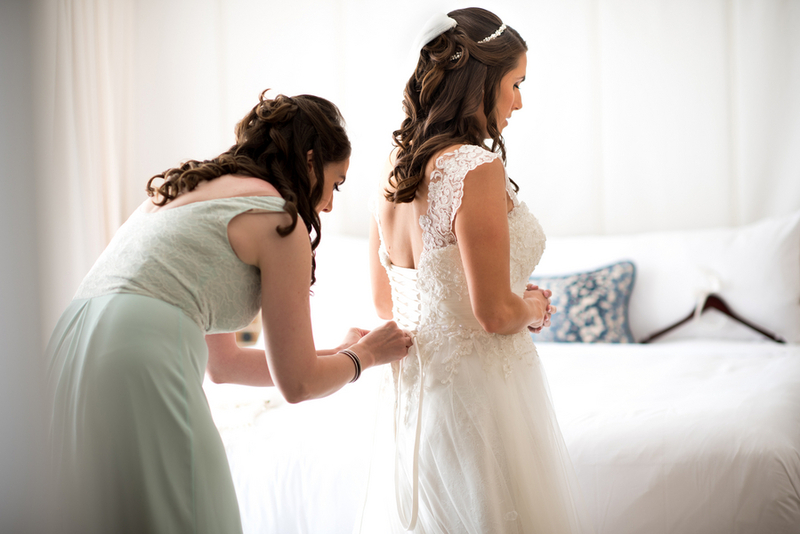 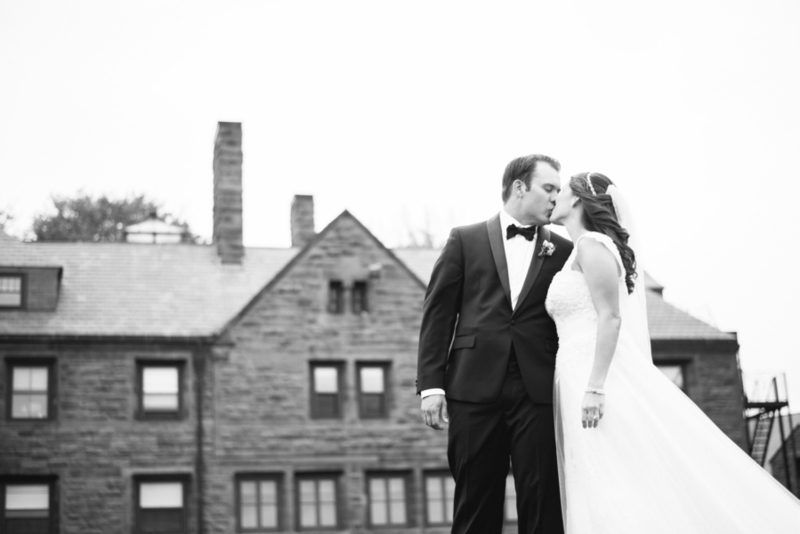 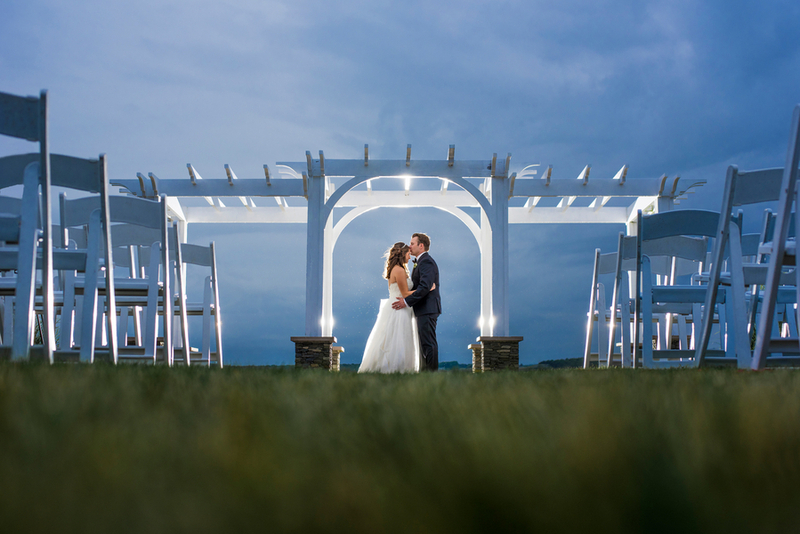 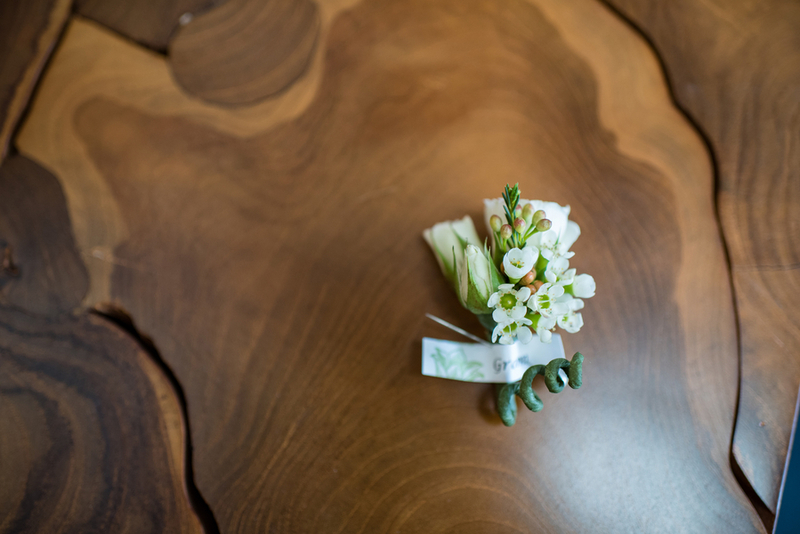 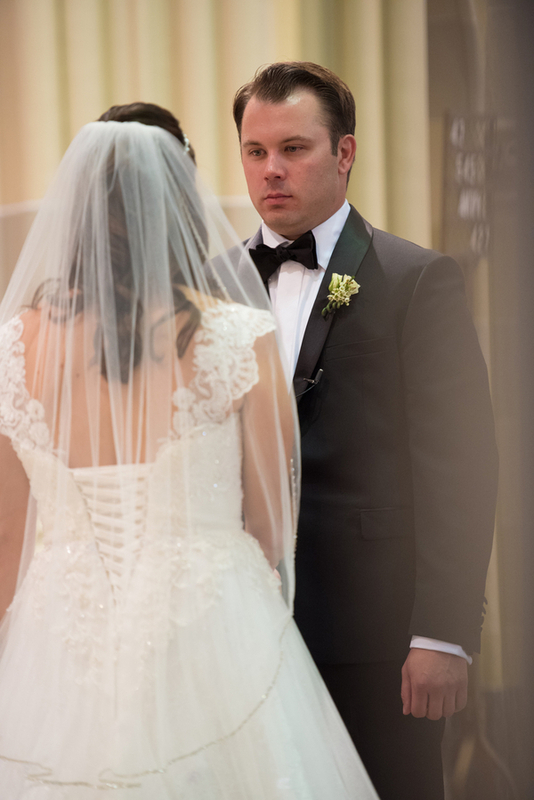 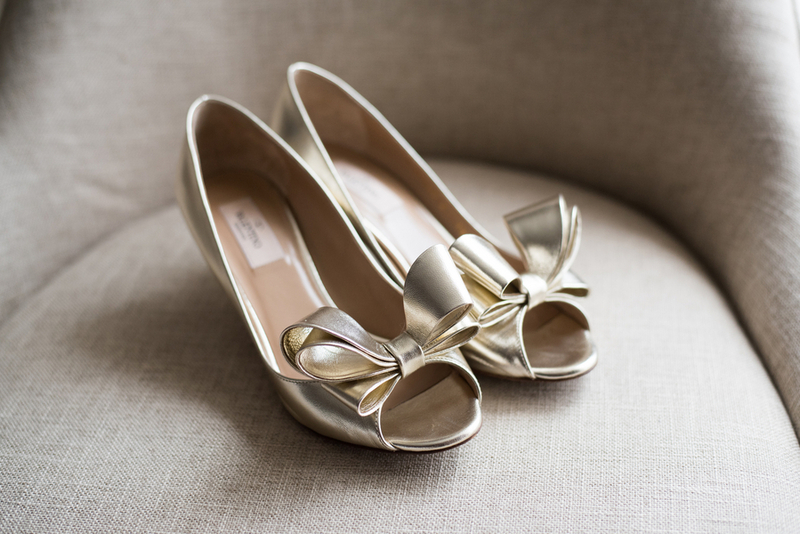 We are so excited to show off this wedding, and we hope you love it as much as we did!